Out of 3 Ram Slam matches today I traded on last 2 and won both of them. The match between Cape Cobras v Titans was predictable and I expected Cape Cobras to win. This was jackpot match as well as Cape Cobras batted first. 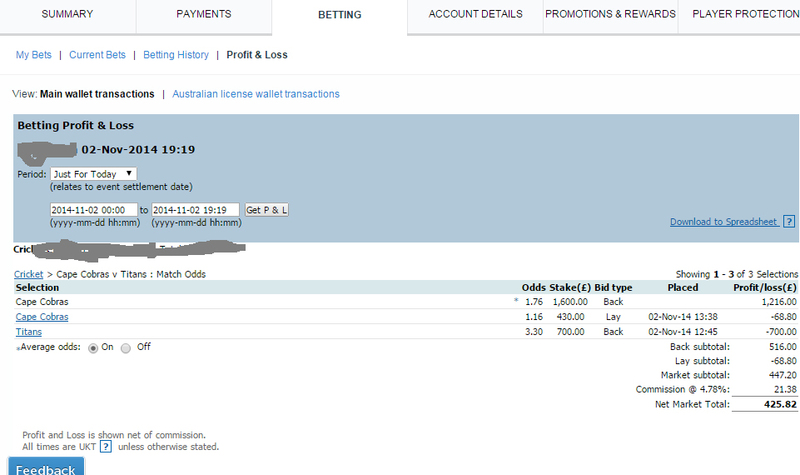 I made total £425.82 in the profit from trading on Betfair. For this match I applied Tarazu and Lay betting strategies.